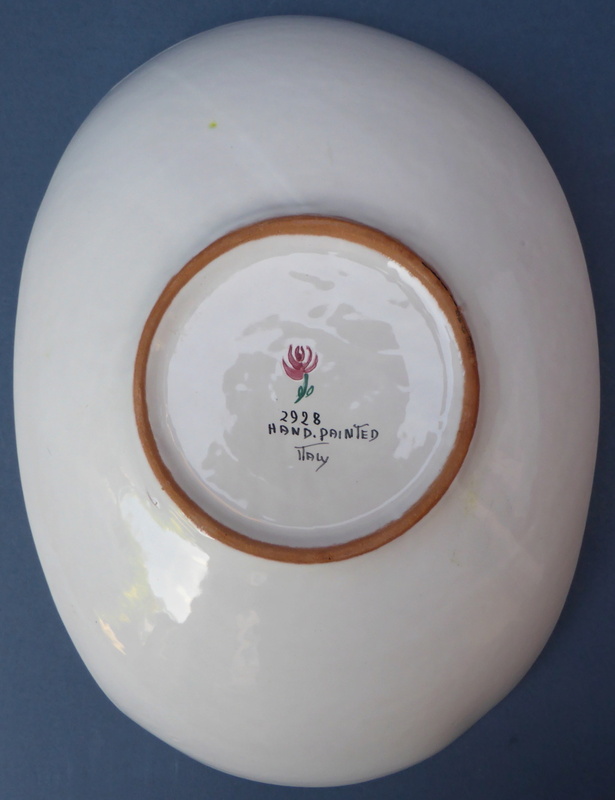 I'm hoping someone might be able to help identify who made this Italian bowl. 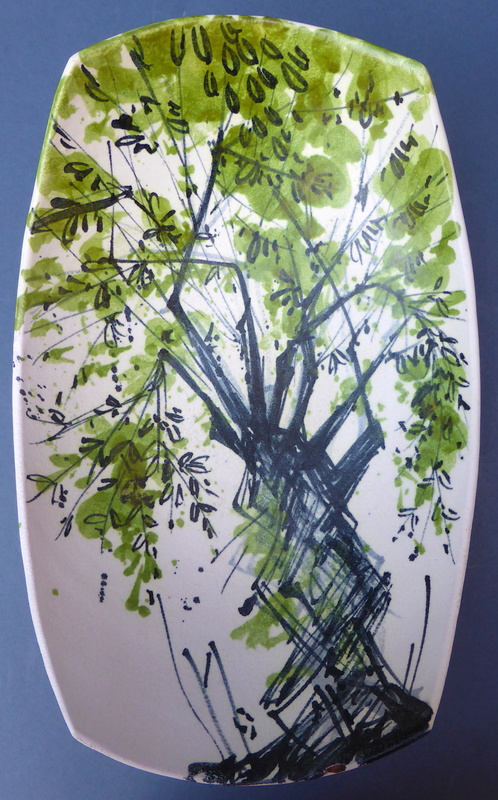 It is an unusual boat shape with a tree painted on the inside. The upper side has a slightly textured glaze while the underside has a glossy glaze. 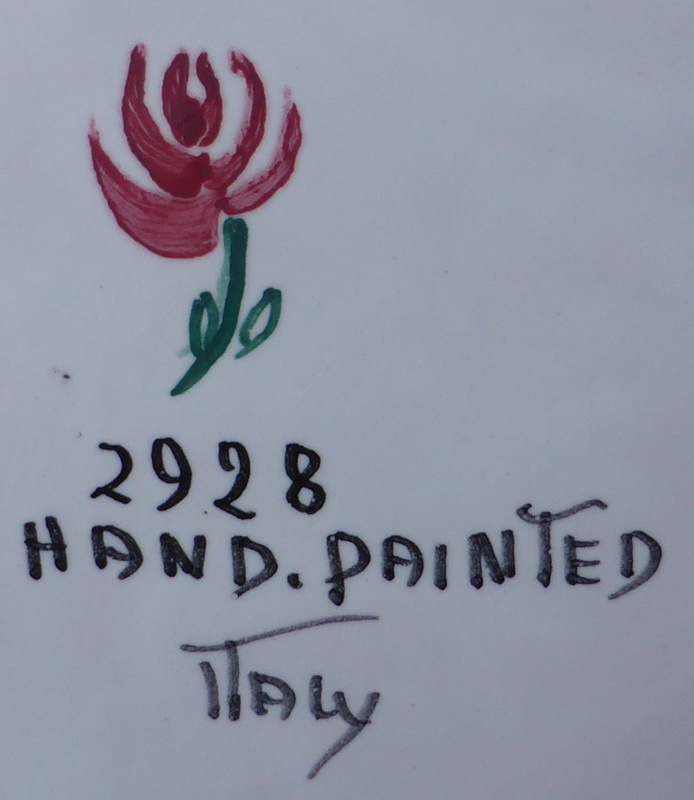 The base is marked '2928 Hand Painted Italy' with a red flower above. I estimate it dates to the 1950s/60s. It is well made and painted and unlike any other pieces I have managed to track down. It measures 13.5" long by 3.5" deep. I know Raymor was an import company that worked with a number of Italian manufacturers, so it doesn't necessarily indicate who made this, but it is a step nearer. I've also found this shape associated with Raymor and described as a scoop shaped bowl. Bitossi used this shape but their designs were completely different, so not them. Hi Naomi, thanks for the info. I appreciate that various companies in Italy and other countries provided wares for distribution by Raymor. I'll keep look to see if I can find anything similar attributed to an actual manufacturer.